A breathtaking guide to the extraordinary world of this winter’s hit film. Discover the people, creatures, daemons and inventions that populate its startling landscape. © MMVII New Line Productions, Inc. 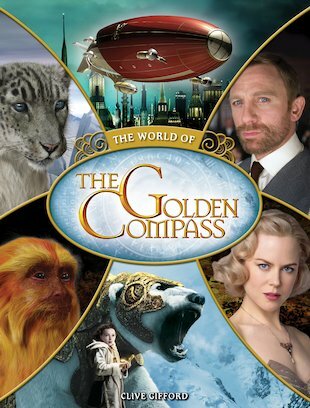 The Golden Compass™ and all related characters, places, names and other indicia are trademarks of New Line Productions, Inc. All Rights Reserved. Clive Gifford is a highly experienced journalist and author with over 60 books in print, including the highly successful ‘So You Think You Know: His Dark Materials’ for Hodder Children’s Books. The Kingfisher Science Encyclopaedia, and How to Build a Robot for OUP. Clive also contributes to the Real Robots partwork for Eaglemoss. The Kingfisher Book of Football, Nappa Gold Medal, Children’s Choice 2003 from the International Reading Assocation. World Issues: Refugees, nominated for the 2003 British Book Awards.